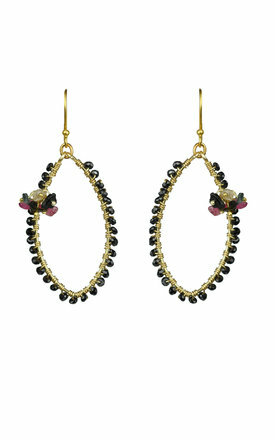 Black spinel wire wrapped frame with mixed tourmaline cluster earrings. 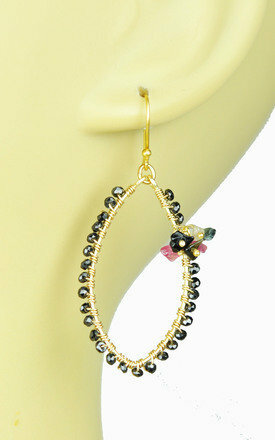 18 kt gold vermeil over sterling silver earwires. 2 inch drop length, 1 1/4 inch width.